World renowned and supremely successful music producer Terry Lewis began his career as a student in North Omaha. Bringing his friend Jimmy Jam to his home city to DJ while they were in college, Terry relied on his community roots to establish, promote and sustain the powerhouse sound that became known around the world. A lot of their success started at King Solomon’s Mines. Following is a short history of an iconic 1970s North Omaha hot spot. It has been a theater, several grocery stores, King Solomon’s Mines, a teen center and more. Today, its boarded up and nearly forgotten. The North Star Theatre was located at 2416 Ames Avenue for more than 25 years! Established in 1854, the Saratoga neighborhood has pioneer-era roots. Once surrounded by farms and soddies, it was the site of the 1898 Trans-Mississippi Exposition, and was among the last locations of the large country for Omaha’s early wealthy citizens. After the turn of the 20th century, the businesses were rebuilt and institutions started anew. Churches, social halls and a major new streetcar garage graced the area, drawing grocery stores, drug stores, a university and more to the area. After being built as a movie theater and small stores in the 1920s, the building on the southeast corner at 2425 Ames Avenue became a very important mainstay in the Saratoga neighborhood. Through the years, it hosted the North Star Theatre, which later became the Ames Theater. There were grocery stores and boutiques in the storefronts facing Ames Avenue, and eventually the theatre entrance moved from the Ames side to the North 25th side of the building. The movie theater closed in 1959. In 1960, the Crestwood Realty Company announced their purchase of the 14,000 square foot building on the southeast corner of 25th and Ames. An August 1960 edition of the Omaha World-Herald said, “Lots of supermarkets are being built in the western part of town… We think there’s a need for them elsewhere, too,” said E. E. Ashley, president of the company. It didn’t last, and the building became a Shaver’s Food Store in 1962. Leading up to the late 1960s, Omaha’s economic and political leaders created a social and cultural bottleneck in North Omaha. Using the Jim Crow tactics of red lining, segregation and benign neglect, white supremacy reigned supreme in the community, causing white flight and the wholesale disestablishment of almost the entire North Omaha community. This throttled many businesses, and the grocery store located at 25th and Ames was one prey to their tactics. An August 1969 feature in the Omaha Star celebrates the opening of Wead’s Food Mart at 25th and Ames Avenue. As white people moved away from the Saratoga neighborhood, the location was deemed unviable and the Shaver’s store was sold to two African American entrepreneurs named Sam Wead and William Lofton. They ran a 9,000-square-foot store there called Wead’s Food Mart for a year, and it closed in early 1970. A nightclub opened there next. King Solomon’s Mines was located at North 25th and Ames. A popular nightclub, it was only open between 1970 and 1972. As the neighborhood became increasingly homogenized in the late 1960s and early 1970s, different kinds of businesses began appearing in the historically thriving North 24th and Ames Avenue commercial district. In 1970, a “mammoth new nightclub” opened in the former grocery store. In November 1970, African American entrepreneurs John LeFlore and Jackie Harris opened a nightclub at 2425 Ames Avenue and called it King Solomon’s Mines. Harris was the manager of KOZN and KOWH, and LeFlore was manager of a restaurant at North 30th and Taylor Street. Striving to feature famous musicians only, a month after it opened the club was reported to be attracting more customers than expected. The World-Herald said the club attracted African Americans at a rate of 2-1. With live entertainment, dancing and drinks, King Solomon’s Mines was popular throughout its short run. King Solomon’s Mines was a lavish space, with a 48-foot stage, a 2,500 square foot dance floor and seating for 450 people. The entrance to the club was painted like a mine, with murals depicting Biblical scenes covering the walls and ceiling. The early ambitions of LeFlore and Harris included wanting to open a restaurant on the bottom floor of the building, which was formerly the warehouse for the grocery business. Unfortunately, those plans never came to fruition. Instead, after featuring musicians including B.B. King, Al Green, Purple Haze, Jackie Wilson, L.A. Carnival, Syl Johnson and others, King Solomon’s Mines closed abruptly in 1972. Charity events were held at the club, like the Wesley House‘s annual Super Star Banquet and events for GOCA, the Greater Omaha Community Action. It didn’t last though. A teen center opened there next. This June 1973 newspaper feature highlights the opening of Run, Johnny, Run, a teen center at 25th and Ames in the former King Solomon’s Mines building. In June 1973, North Omaha football hero Johnny Rogers opened a new club at 2425 Ames Avenue. Instead of alcohol though, it served pop and chips. Instead of dancing to the latest and greatest musicians with scantly clad and dapperly dressed, it was for teens who wanted to play cards and have a safe place to hang out. The teen center was open daily from 11am to 9pm, with live entertainment on Friday and Saturday from 9pm to 1am. Offering dancing every evening, Johnny Rogers himself reportedly poured money into the club for pool tables and ping pong. The center showed movies for teens and kids on Saturdays, and a free car service was offered for people who needed it. Liquor was not served. It was the second youth center located near the intersection of North 24th and Ames, the first being Beverly Blackburn’s JFK Teen Center around the corner of 24th. Johnny Rogers reportedly didn’t have a business plan for his venture, and was quoted in the Omaha Star as saying that he didn’t intend to turn a profit, but hoped to break even from the teen center. The World-Herald reported a shooting nearby the center in late 1973, and there were no more reports about the Run, Johnny, Run Teen Center after that. A business called the Black Odyssey Club occupied the building for a few years, and from then until now its been a closed building. Some industrial manufacturing has happened there, and some storage is located there now. The neighboring parking lot is fenced in now and filled with trailers from rigs sometimes. There is no sign that a glorious nightclub, packed grocery store or other vital business was ever located at 2425 Ames Avenue today. King Solomon’s Mines was located at North 25th and Ames Avenue in North Omaha, Nebraska. A popular nightclub, it was only open between 1970 and 1972. WE ALSO HAD MUSICIANS, TYRONNE DAVIS, GARLAND GREEN, AL GREEN KOOL & GANG, DEE DEE WARC\WICK, jOHNNIE TAYLOR, BOBBY BLUE BLAND AND A GREAT BAND OUT OF CHICAGO CALLED THE SONS OF SLUM. iN ADDITION WE HAD A GREAT NUMBER OF OTHER TALENTED MUSICIANS. KING SOLOMON’S MINES WAS TRULY A WONDERFUL EXPERIENCE. WITH VERY LITTLE CASH FLOW, JOHN AND I PUT A DREAM COME TRUE TOGETHER IN A VERY SHORT TIME THAT BECAME ONE OF THE FINEST NIGHT CLUBS IN THE COUNTRY. WITH MURALS INSIDE AND OUT, THAT WERE DONE BY A 17 YEAR OLD KID, STILL IN HIGH SCHOOL AT THAT TIME. WITH SO MANY ENTERTAINERS TO MENTION SUCH AS; JACKIE WILSON,AL GREEN, SYL JOHNSON. JOHN LeFLORE AND I WHERE OLD COLLEGE FRIENDS AND STILL ARE BEST FRIENDS, TO THIS DAY. Wow – Jack, thank you for your response and notes! Please let me know anything else that should be added here, and feel free to share anything else you’d like! John, I work for OPS. 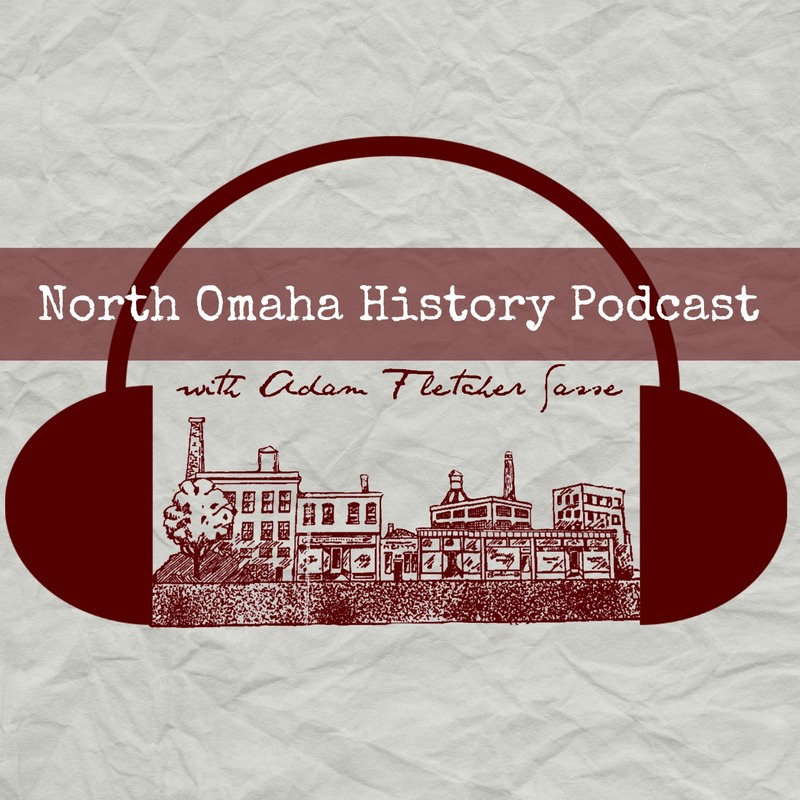 Would you be willing to talk to me a bit more about Omaha’s music history during that era? Adam, do you have John’s contact info? Emily, I’d bet it would be an honor to talk with either John or Jack. However, what you see here is what I’ve got – maybe they’ll reply? Saratoga Elementary, not Druid Hill was across the street. The Druid Hall is different from Druid Hill Elementary School. Saratoga School is a block away from the King Solomon Mines building; the Druid Hall (aka Black Masons aka the 3-5-7 Club aka the Los-Diablos Motorcycle Club) is located at 2501 Ames Avenue. My band was one of the main groups that always play there inbetween tours, we were the Silverado group, that place had great memories, and the art work was insane.